My no-fail, super easy, Feng Shui fixes for your best night’s sleep, as shared with MindBodyGreen. Take your Konmari one step further - lighten up the energy in your home and workspace and learn how to not only “spark joy”, but put the magic of Feng Shui to work for you. Join us at Salt Haven in Bayport, NY, for a complementary salt session and workshop on inviting and activating the magic of Feng Shui in your home. Learn about the basics of Feng Shui, and how to use your Personal Energy Number to elevate your home or office to be your positive energy attracting magnet, even when you’re not there. Kirsten Yadouga, The Interior Intuitive, combines over 20 years of styling and design experience with energetic healing modalities of Crystal Healing, Space Clearing, Meditation, and Feng Shui to create spaces that are not only Instagram-worthy, but restorative, supportive, and attracting positive energy. This is a free event! Contact Salt Haven to receive your spot. 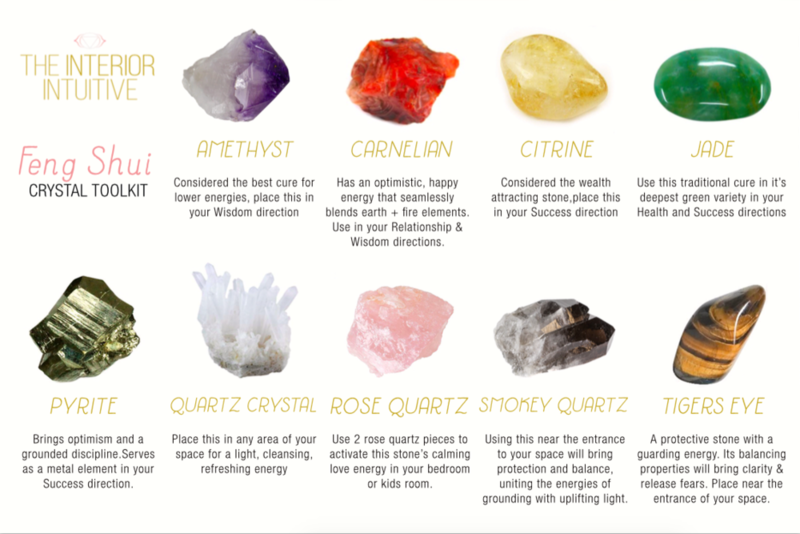 What do CRYSTALS, MANIFESTING, and FENG SHUI have in common? Join us for an eye opening night of inviting and activating the magic of Feng Shui. Kirsten Yadouga, The Interior Intuitive, combines over 20 years of styling and design experience with energetic healing modalities of Feng Shui, Crystals, Space Clearing, Energy Work, and Meditation to create spaces that are not only Instagram-worthy, but restorative, supportive, and attracting positive energy. Join us at Salt Haven in Bayport, NY, for a complementary salt session and interactive workshop on inviting and activating the magic of Feng Shui in your home. Learn about the basics of Feng Shui, and how to use your Personal Energy Number to elevate your home or office to be your positive energy attracting magnet, even when you’re not there. Alcohol is intrinsic to American culture, from kegs at college parties and cocktails after work to wine at book club. Are our drinking habits contradictory to the other healthful behaviors we cultivate? Ruby will guide the group through finding your own path to a healthier relationship with alcohol, yourself, and the world around you—and radically transforming every area of your life. Last chance to book some Holiday magic! Have your space looking and feeling holiday party ready before you know it. Three spots left before December 1 - contact us for booking.